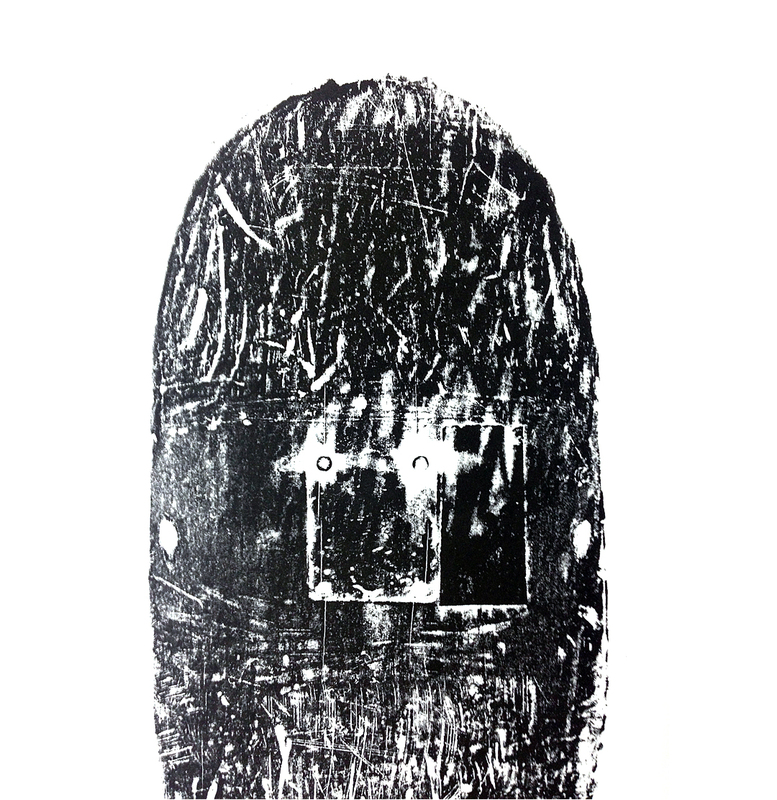 Based with the board riding extreme sports of surfing and skateboarding, the project aims to explore the primary artefact within the Japanese printing method of Gyotaku (a method to record the fish caught). 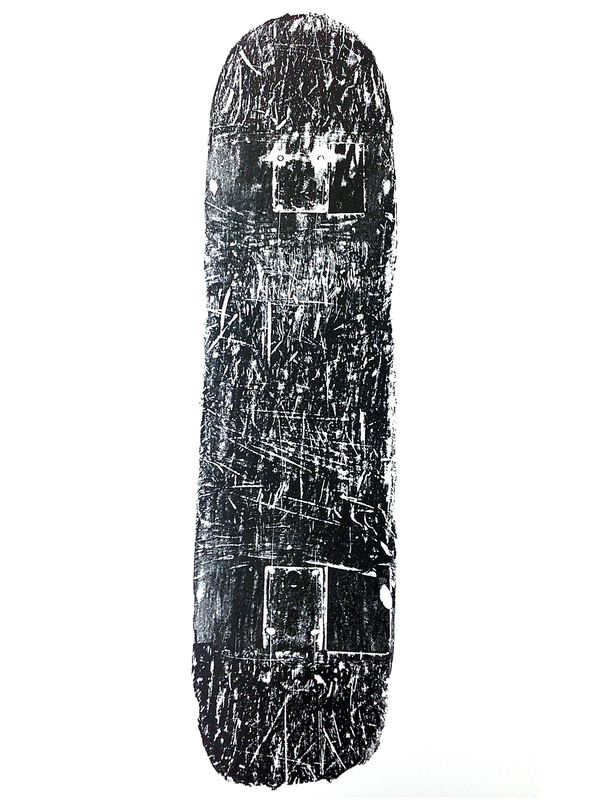 Dating back to the mid-1800s, this ‘fish printing’ method delivers a direct original impression of the surfboard / skateboard (including the dings). It is at this point where to two-board riding sports start to differ. 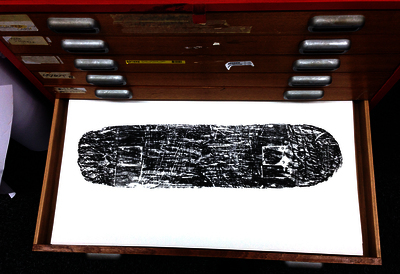 Skateboard, is focused around the relationship between the man-made urban landscape. The scrapes and gouges reflect the journey between the rider and the terrain. 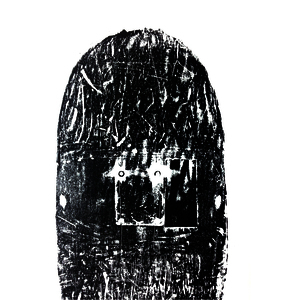 The prints can be read as the style and skill level the rider holds as well as the artefacts of time. 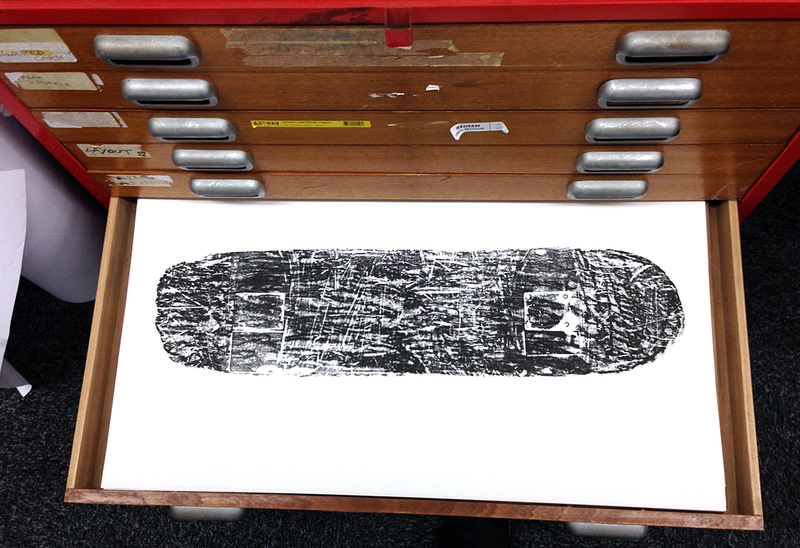 Skateboards don’t or shouldn’t have a long life span, and snapping ‘decks’ can be seen as devotion to the continues and sometimes painful learning process. The Surfboard prints focus around the hand shaped elements of the board, the fins, length and overall detailing of the dimensions. The dings (elements of the board that have been hit and dinted the glass resin, usually be the rider falling off) show the skill level and experience of the rider. Surfers focus on the details of the surfboard and also own more than one surfboard (for different style or size of waves). Skateboarders use own one board at a time.